Trinidad was first colonized by the Spanish; the islands came under British control in the early 19th century. The islands' sugar industry was hurt by the emancipation of the slaves in 1834. Manpower was replaced with the importation of contract laborers from India between 1845 and 1917, which boosted sugar production as well as the cocoa industry. The discovery of oil on Trinidad in 1910 added another important export. Independence was attained in 1962. The country is one of the most prosperous in the Caribbean thanks largely to petroleum and natural gas production and processing. Tourism, mostly in Tobago, is targeted for expansion and is growing. CIA Factbook, Trinidad and Tobago. Land Area - 5,128 sq km, 1980 sq mile (slightly smaller than Delaware). Highest Point: El Cerro del Aripo 940 m, 3084 feet. Land Use: agricultural land 10.6%, arable land 4.9%, permanent crops 4.3%, permanent pasture 1.4%, forest 44%, other 45.4% (2011 est. 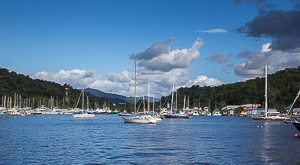 The first priority for Cruisers arriving in Trinidad is to get settled into Chaguaramas. After that the need to explore the island becomes important. 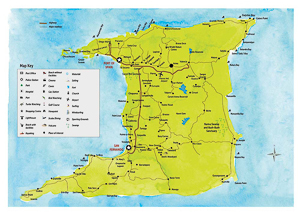 The first question most cruisers ask is, why travel all the way to Trinidad? Several reasons come to mind. Many need to get work done on their boats and are attracted by Trinidad's reputation for excellent work or low prices. Others seek to keep their boat in a safe place during the Caribbean hurricane season. Many of these people leave their boats and return to North America or Europe for the summer. Few cruisers travel to Trinidad just to experience the island and its people. It is a shame as there is much to see. Often cruisers are so focused on getting their work done that they seldom venture beyond Chaguaramas. 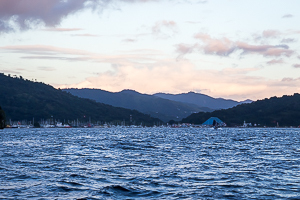 We will attempt to explore some of the things that can be found beyond the limits of the marinas in Chaguaramas. Not covered are such topics as marine parts or finding services and skilled trades. These topics are well covered elsewhere. You are now on the Main or Home page of the site. The content of the rest of the site is mesmerized below. The following sections will go into greater detail. Home - Where you are now. Arrival - Matters concerning arrival into Trinidad and Tobago. Facilities - Details on what to expect in Chaguaramas. Exploring - What to do outside of Chaguaramas and what to see in rest of the island. Notices - A new feature to tell people in Trinidad what is happening. Weather - General information about the weather in Trinidad and the Eastern Caribbean. 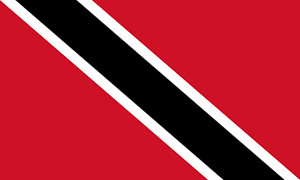 Links - Links of interest to people in Trinidad or considering traveling to Trinidad. About Us - About the people that made this site possible and our contact information. 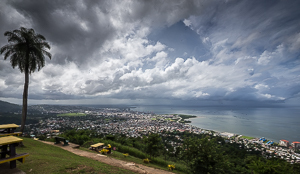 View of Port of Spain from Fort George, Trinidad. For many, this the most important reason to travel to Trinidad. They are interested in getting there, getting needed work done and storing their boat while they travel home. Arrival - Here you will find information on getting to Trinidad, what to expect on arrival, and clearing in. Navigation information is mostly committed as it can be found elsewhere. Facilities - Here you will find details of where to keep your boat, what services are available, how to find parts, and much more. This is the most dynamic portion of the site We strive to keep things up to date, but if you find information that is not or incomplete please let us know. Chaguaramas Bay from the south end of the Boca. The east end of Chaguaramas Bay. The Customs Dock is in the center with the red and white striped light. This large topic is broken into categories. Select the category of interest to see more details. 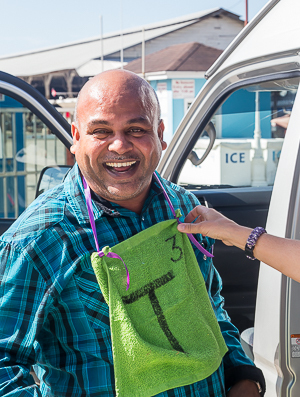 Jesse James, of Members Only - Maxi Taxi and Tour Services , has been the focal point and the organizer of much of cruiser activity in Trinidad as well as the first person to step in with help for those who need it. Shopping is often the first thing that gets cruisers out of Chaguaramas. While there are mini-markets in some of the marinas, they fall short of meeting all their needs. 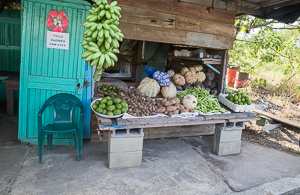 Larger grocery stores stocking a wide array of products are just a short taxi or bus ride away. Jesse organizes trips to them several times a week. The first tentative step to explore the country is usually part of one of these organized trips. But, getting farther afield is not too difficult. The roads are good, but not pothole free. Traffic can be bad at times, especially following heavy rains (when the roads tend to flood in some places), at rush hour, in or out of Port of Spain, or on weekends near beaches, but it is usually the worst getting in and out of Chaguaramas during the rush hours. Driving on the left can be a challenge to those who grew up in the United States or elsewhere where they drive on the right. However, the rewards are worthwhile. A significant amount of Trinidad is still in its natural state. There is much to see, from the mountain rainforests to the coastal mangroves. One of the favorite spots is the Asa Wright Nature Center. 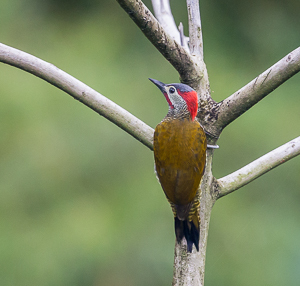 It is located in a great rainforest setting in the northern mountains east of Port of Spain. A former plantation, it is now one of the worlds premier bird watching sites. A trip to the Caroni Swamp is often done in the afternoon after a visit to Asa Wright. The Caroni Swamp is a vast mangrove forest located south of Port of Spain on the west coast of Trinidad. 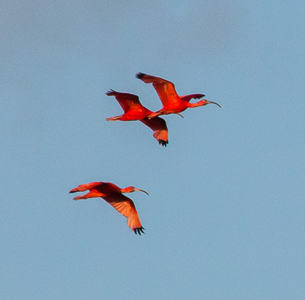 It is home to the Scarlet Ibis (The National Bird of Trinidad). On the East coast of Trinidad is the Nariva Swamp, a nature reserve home to many birds and animals, including the howler monkey. The swamp is accessed by small boat to an island at the heart of the reserve. The Pitch Lake is located on the southwest corner of the island. The Pitch Lake is the largest natural deposit of asphalt in the world. From late spring to late summer the Leatherback Turtles come ashore to lay their eggs on one of several beaches in Northeastern Trinidad. For cruisers interested in hiking, there are many opportunities available. The most popular hike is at Macqueripe Bay. The hike is through the bamboo forest where the howler monkeys are often seen. There is a spectacular "bamboo Cathedral" where the bamboo overhangs the road forming a Cathedral like arch. Farther afield, are Para Falls and Rincon Falls. Contact Jesse about doing these trips. Another resource for hiking is the staff of Asa Wright Nature Center. They are quite knowledgeable about the opportunities along the northern mountains. 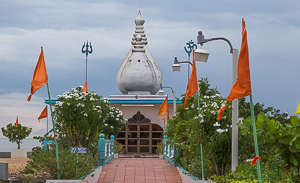 Temple by the Sea is located a few hundred meters off the west coast of Trinidad and stands as an extraordinary monument to the human spirit: a magnificent Hindu temple, completed and consecrated at the end of 1995. To the East of Port of Spain, is Mount Saint Benedict: it is notable for its famous Tea Room which was built during World War II and is the oldest in the country. It operates for a few hours each afternoon serving a variety of international teas and items produced on the premises such as honey and bread. In late October or early November, Diwali (The Hindu Festival of Lights) takes place in the Hindu communities in West Central Trinidad. Music is a very important part of life in Trinidad. Calypso is a medium for political and social satire. Its root is from communication between slaves while working. 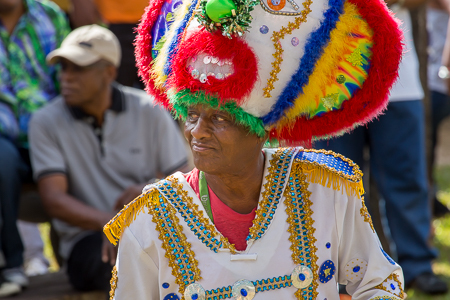 Other traditional Trini forms include Soca, Parang, Chutney, and of course Steel Pan. 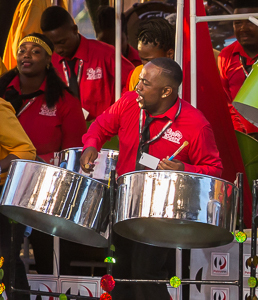 Steel Pan Bands are most evident in the weeks leading up to Carnival. Cricket is the national sport. Its followers are fanatical and the country gets swept up in the excitement. 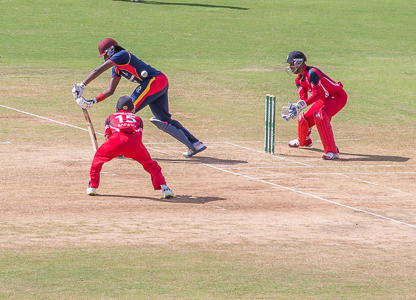 Trini life grinds to a halt whenever the West Indies team comes in for a test match. Soccer is second only to Cricket in the single-minded enthusiasm of its fans. A 20/20 Cricket match is often a mixture of sport and carnival. Equally revered in Trinidad and Tobago, but less followed by cruisers is Soccer. No description of Trinidad & Tobago would be complete without mentioning Carnival. Trinidad hosts the biggest and most opulent of Carnivals in the Caribbean and everyone is invited to participate. When Carnival rolls around, do not expect anyone to show up for work at the height of it. 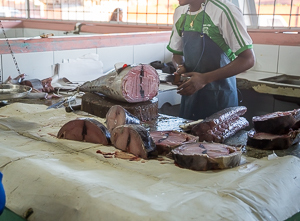 Fresh Fish at the Saturday Market. Scarlet Ibis, Caroni Swamp, Trinidad. There are a great number of options to get out of Chaguaramas. They are all accessible and safe. Jesse James, besides being a wonderful person and advocate for the cruising community, runs a tour and taxi service. His tours are great and should not be missed, especially his "Taste of Trini Tour". He will also arrange for a car and driver to take you any place you need to go and does regular trips to the various shopping malls and stores. The maxi taxis frequent the Western Main Road in front of the marinas on the north side of Chaguaramas Bay. They come by often and will pick you up and take you into town. Ask the driver to let you out where you need to stop and it is customary to say hello to the fellow passengers. Fares run about 5 TT Dollars (the exchange is about 6.7 TT$ to the US$) or slightly more to Port of Spain. Larger buses also ply the same route but much less frequently. You need to purchase a ticket before you enter the bus. It is good practice to get a few tickets and keep them with you in case you need to take the bus. They can be purchased at many of the small stores in the marinas for about 4 TT$ (2017, exchange rate 6.7 TT$ to the dollar ). Returning to Chaguaramas you can catch the bus at the main bus terminal in Port of Spain (ask for directions) or along the way out on the road. At busy hours the buses are often full out of Port of Spain so you may have to wait. You may be approached by a private car offering to take you. They are picking up passengers to make a buck. Ask the price before entering, but it is usually close, to slightly more than the Maxi fare. There are taxis in Port of Spain that are good for short distances, but are much more expensive. Rental cars can be had in Chaguaramas for about 25 to 35 US dollars a day. They are not in excellent condition but will get you around. If you smell a whiff of diesel in the trunk, it is because cruisers often use the cars to bring jugs of fuel from nearby gas stations. Jesse James, A cruiser Advocate and Tour and Transportation Organizer. With all the misinformation about, it is necessary to mention personal safety. Cruisers read in the news about the awful crime in Trinidad. But, seldom noticed by cruisers, it is largely isolated to a few regions that are not frequented by cruisers, and times of day where cruisers are not out and about. Crime directed at cruisers has been very low to nonexistent. Yes, it is important to avoid some areas, but this is true in most cities. A good summary report on security is available from the US Department of State, Overseas Security Advisory Council (OSAC) web page on Trinidad and Tobago - see link. It mentions the areas to avoid as Laventille, Sea Lots, Cocorite, Beetham, the Interior of Savannah, Downtown Port of Spain (after dark), Ft. George (after dark), and all beaches (after dark). None of these areas is frequented by cruisers. 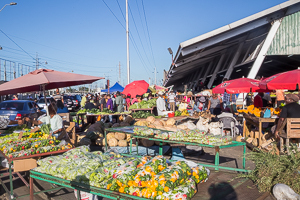 The Saturday Market in Port of Spain, Trinidad.